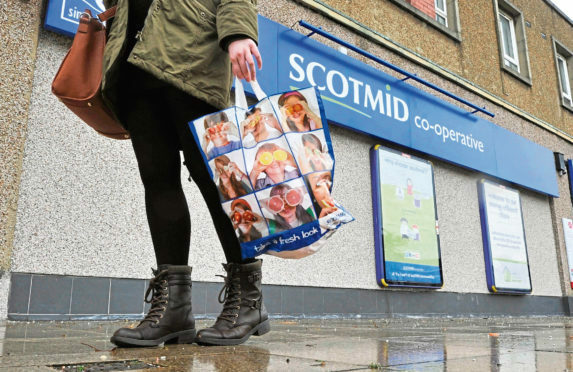 Sunny weather and more funerals helped to boost profits at Scotmid Co-operative during the first half of its trading year, the group’s boss said yesterday. Chief executive John Brodie said people were more inclined to “shop local” in its convenience stores during the warm weather, giving more time to enjoy the sunshine. The Beast from the East also helped the business earlier this year as people did not want to venture far in the bad weather, he added. He was speaking after Scotland’s largest independent co-operative announced a near-16% year-on-year jump in trading profits to £2.3m during the 26 weeks to July 28. Scotmid, which employs more than 4,000 people across nearly 350 retail outlets in Scotland, Northern Ireland and north England, said the Beast from the East boost was tempered by disruptions to the food supply chain. It added: “Scotmid Funerals recorded a strong performance in the first half of 2018, driven by a significant increase in funeral numbers compared to a difficult first half last year. “As a result the society saw positive growth in market share. The group has 17 funeral offices, as well as its 177 Scotmid convenience stores, nine Lakes and Dales co-ops and about 90 outlets in its Semichem health and beauty chain. It also owns commercial and residential property and operates post offices. Mr Brodie said Semichem overcame a “challenging” trading backdrop to achieve an improved first half performance, with recent action to cut costs and a new store format helping to kep the business profitable. But the chain faces a direct threat from Brexit because it benefits from substantial cross-border trade in Northern Ireland, he warned. Scotmid said it was too soon to draw any conclusions on the impact of mimimum unit prices for alcohol, which were introduced across Scotland in May, with summer drink sales boosted by the sunny weather and the Fifa World Cup. Mr Brodie said: “Scotmid delivered a good half-year performance, even though the society was facing into a challenging landscape of continued uncertainty and ongoing cost pressures. “These challenges included the trading environment, cost increases, ongoing Brexit uncertainty and the sluggish retail market. “But the biggest factor impacting on the society’s results during the first half of the year was extreme weather – snow with the Beast from the East followed by the hottest summer for 40 years. Trading turnover rose by £3m to £184m, but statutory pre-tax profits fell by £434,000 to £937,000.